Keywords: servo motors, synchronization, velocity to pressure switchover, pressure control, injection molding machine. Injection Molding Machine (IMM) is one of the most important equipment in plastic industry. As a cyclic process, injection molding can be divided into three steps includes filling process, packing-holding process and cooling process, among which filling process and packing process are both most important phases for the quality of part, and the corresponding crucial process variables are injection velocity and packing pressure in filling and packing phases. Moreover the determining a suitable injection time, screw position and cavity pressure for transfer from injection velocity control to packing pressure control which is commonly called filling to packing switchover point is also critical for high quality part. 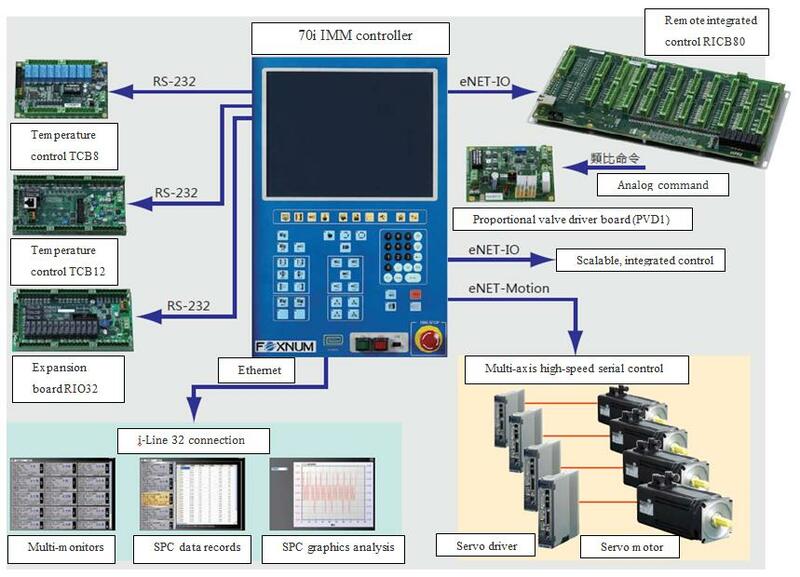 This study is concerned with two research aspects: double servomotors synchronization control for injection unit, and filling to packing switchover methods. The simulation result of switching method based on injection time and ball screw position those are similar, and the result of switching method based on the cavity pressure that is better. A. Kanungo and E. Swan, “All electric injection molding machines: How much energy can you save?” Proceedings from the Thirtieth Industrial Energy Technology Conference, New Orleans, LA, USA, May 6-9, 2008. F. Johannaber, “Injection molding machines: A user’s guide,” 3rd ed. Hanser Munich Vienna: New York, 1994. Y. Koren,, “Cross-coupled biaxial computer control for manufacturing systems,” Journal of Dynamic Systems, Measurement, and Control, vol. 102, no. 4, pp. 265-272, 1980. MarVin H.Cheng, Cheng-Yi Chen and Aniruddha Mitra, “Synchronization controller synthesis of multi-axis motion system,” International Journal of Innovative Computing Information and Control, vol.7, pp. 918-921, July 2011. O. S. Kwon, S. H. Choe, and H. Heo, “A study on the dual-servo system using improved cross-coupling control method,” 10th International Conference on Environ-ment and Electrical Engineering (EEEIC’11), May 2011, pp. 1-4. M. F. Hsieh, C. J. Tung, W. S. Yao, M. C. Wu and Y. S. Liao, “Servo design of a vertical axis drive using dual linear motors for high speed electric discharge machining,” International Journal of Machine Tools and Manufacture, vol. 47, no. 3-4, pp. 546-554, 2007. N. Akasaka, “A synchronous position control method at pressure control between multi-ac servomotors driven in injection molding machine,” in SICE 2003 Annual Conference, vol. 3, pp. 2712-2719, Aug. 2003. S.-L. Chen, H.-N. Dinh, and V.-T. Nguyen, “Synchronized Injection Molding Machine with Servomotors”, AITI, vol. 2, no. 2, pp. 34-39, Jun. 2017.